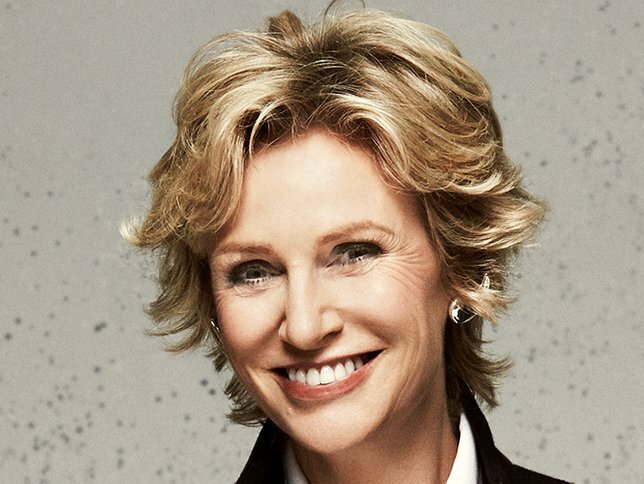 More Talent Announced To Join Jane Lynch At Bay Street Theater’s "Some Enchanted Evening"
Bay Streets 27th Annual Gala July 7. Sag Harbor, NY - June 15, 2018 - Bay Street Theater & Sag Harbor Center for the Arts is pleased to announce additional entertainment for Some Enchanted Evening, the 27th Annual Summer Gala in Sag Harbor on the Long Wharf on July 7, 2018. The event benefits Bay Street's educational and theatrical programs. The evening includes special performances as well as a silent auction, cocktail party, live auction with celebrity auctioneer Richard Kind, dinner and dancing. Due to future restoration of the Long Wharf, this will be the final gala to be held there. The theme this year is a Celebration of the Golden Age of Broadway. A star-filled concert will be part of the evening, with songs from the most beloved musicals including South Pacific, West Side Story, On The Town, Carousel and more, written by the hilarious, award-winning playwright Jonathan Tolins (playwright of Buyer and Cellar and Bay Street’s hit comedy The Forgotten Woman). In addition to the recent addition of Jane Lynch as Emcee of the evening, more talent has been added including just announced Robert Fairchild, who is a former Principal Dancer New York City Ballet and starred in An American in Paris on Broadway. Broadway star and East Hampton resident Howard McGillin (Mystery of Edwin Drood, Gigi, Bay Street’s My Fair Lady and Grey Gardens) will perform as well as German and Australian star Sarah Bowden (Disney’s Hunchback of Notre Dame, A Chorus Line at the Hollywood Bowl); and choreographer Joshua Bergasse will recreate his Tony nominated staging of “New York, New York” from On the Town. Other performers include Bay Street Acting Apprentices Kara Arena, Lewis Elliot and Anthony Sims. Jane Lynch (two-time Emmy winning host of Hollywood Game Night and an Emmy and Golden Globe winner for her portrayal of Sue Sylvester on Glee) will also sing a Broadway tune with Richard Kind (Amazon’s Red Oaks, The Producers, The Big Knife, Mad About You, Spin City, A Bug’s Life, Cars, Inside Out, and Bay Street’s productions including Enter Laughing, Romance, Travesties, and The Lady in Question). The evening’s auction items will include a week at the beach in St. Barth's for 4 at a luxury 2- bedroom WIMCO villa, complete with unparalleled concierge service, and roundtrip flights to the island from San Juan on private Tradewind Aviation carrier. Other items include an 8-day cruise on Viking Cruises for 2, a walk on role in EVITA with dinner for 8 guests at The American Hotel, and many, many more. This year, the Bay Street Theater will honor Sag Harbor businesses as a thank you for supporting the Gala for the past 27 years, with most of them taking place on the Long Wharf. Bay Street Theater will also honor Bay Street Board Members Luigi Caiola and Erik Batt, who along with their spouses and families have been devoted supporters. Past attendees at Bay Street's Gala include Broadway and film luminaries, business leaders and some of the most influential people in our community: Arlene & Alan Alda, Julie Andrews, Alec Baldwin, Chris Bauer, Joy Behar, Bob Balaban, Mel Brooks, Kim Cattrall, Chevy Chase, Blythe Danner, Edie Falco, Jules Feiffer, Dan Gasby, Kelsey Grammer, Billy Joel, Star Jones, Richard Kind, Nathan Lane, Susan Lucci, Terrence McNally, Rosie O'Donnell, Mercedes Ruehl, Liev Schreiber, Stephen Schwartz, Susan Stroman, B. Smith, Aida Turturro, Naomi Watts and Robert Zimmerman, to name a few. This year's sponsors (list in progress) include: Peeko Oysters, Greenport Harbor Brewing Company, Bedell Wine, Clovis Point Winery, Tradewind Aviation, Channing Daughters Winery, Hamptons H2O Water, Simple Vodka, Sag Harbor Rum, Sag Harbor Florist, Land’s End, Oban, Peconic Landing, Viking River Cruises, Searles Graphics, Sterling Affair, Bridgehampton National Bank, Corcoran Group, Hamptons Magazine, Dan's Papers, Purist, Beach Magazine, and WIMCO Villa in St Barth's. Tickets are available at baystreet.org or by calling the Development Office at 631-725-0818. Subject: LongIsland.com - Your Name sent you Article details of "More Talent Announced To Join Jane Lynch At Bay Street Theater’s "Some Enchanted Evening""